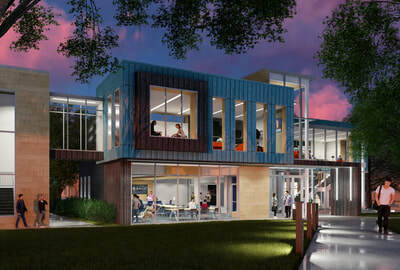 Utilizing input from students, faculty and the community, the new Carroll Center for Innovative learning was developed as a 21st century learning environment. 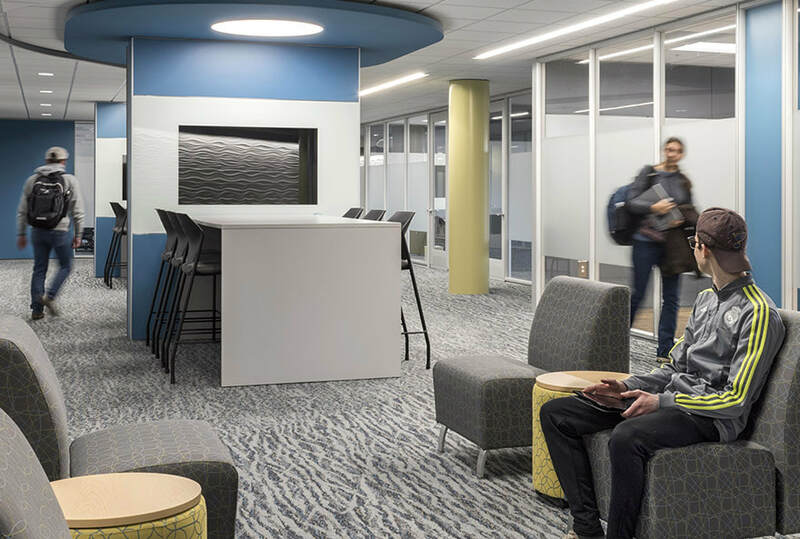 The re-invented area includes formal and informal educational spaces that were right sized to support varied class sizes. 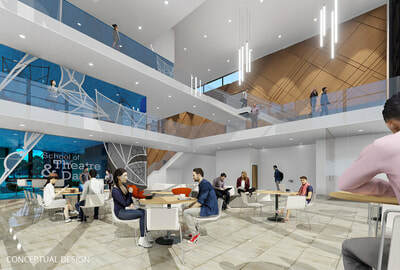 The Carroll Center is a 21st century learning environment that truly sets Richland students apart, offering integrated technology, project-based spaces, cross-disciplinary learning, and a variety of learning and study environments. 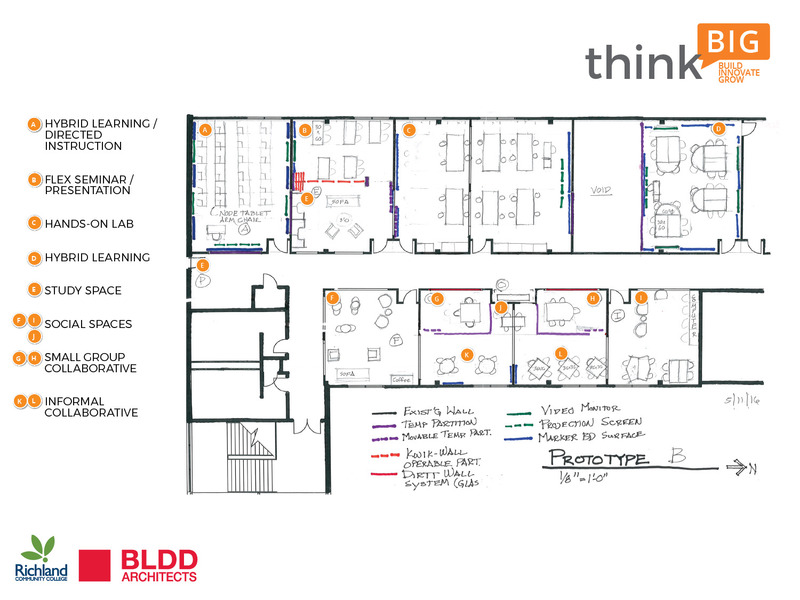 Thinking BIG to reinvent spaces. 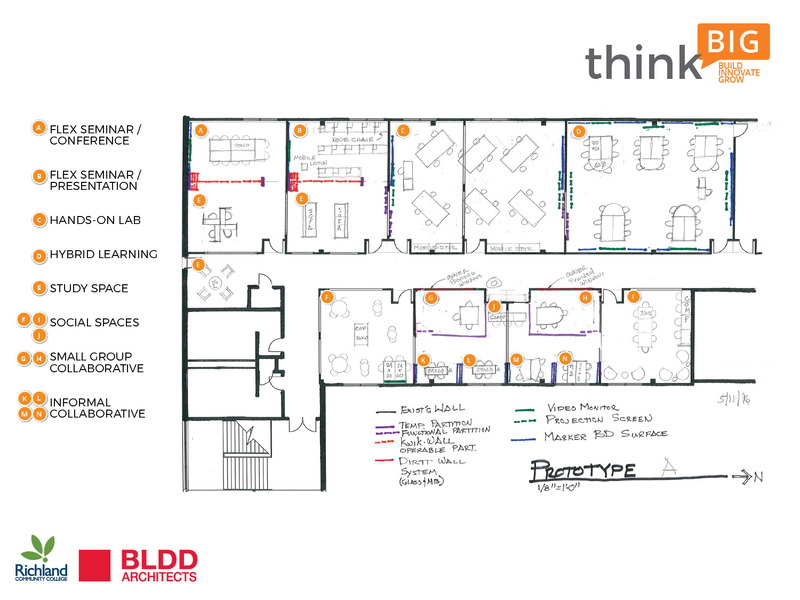 The Think BIG process with Richland Community College started with creating strategic committees to address: curriculum, logistics, evaluation of concepts, partnerships, student engagement, and strategic goals for the project. Exemplar facilities were toured to see what spaces could work for the new learning spaces. Classroom observations, staff interviews, and student feedback helped guide the designers. 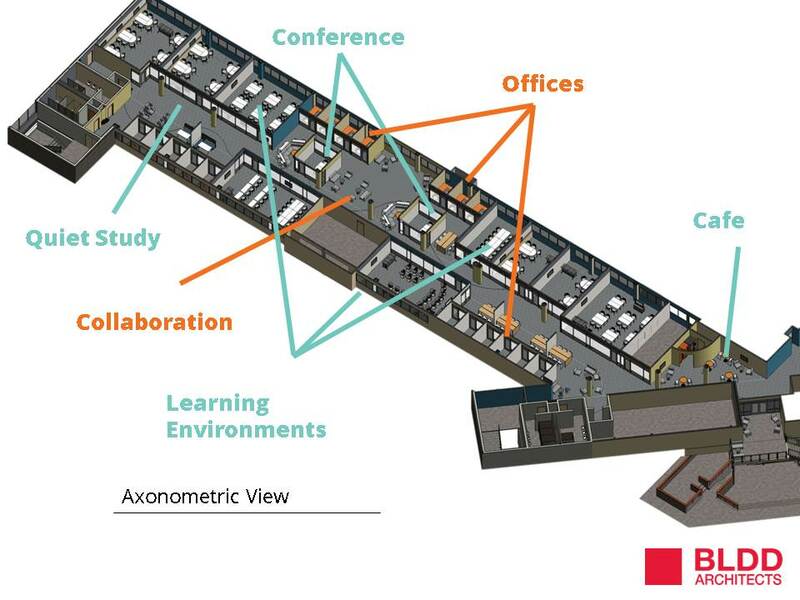 Students, faculty, and staff were able to work with our architects to help design the student-centered environments. 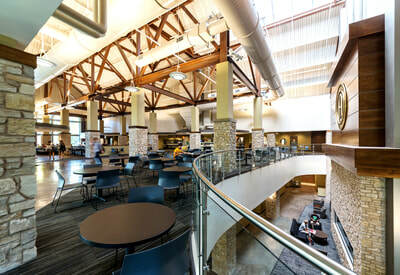 Two designs were developed, and full-size prototypes of the spaces were built on campus and tested by faculty and students. Wow! An instructor noted that in side by side comparison of an introductory accounting class, with one being taught in a typical classroom and the other being taught in the active learning prototype classroom, the students learning in the active learning space were progressing significantly faster and were more engaged with the material and each other. Students have access to collaboration tools, small group rooms, and individual study pods, to suit their needs. A traditional, double loaded corridor with no access to natural light was transformed by creating a wandering circulation path through the formal and informal spaces. instructor offices that were previously hidden from the students now are located immediately off the informal spaces in order to foster interaction. The existing window system, previously infilled with opaque panels was replaced, thus opening the interior to day-lighting along both sides of the space.